December 25th. Christmas. The day we celebrate the birth of Christ. The nativity narrative is so ingrained that its content is hard to present afresh. The Christmas Story, written by Alison Mitchell and illustrated by Catalina Echeverri, attempts to do just that for children. 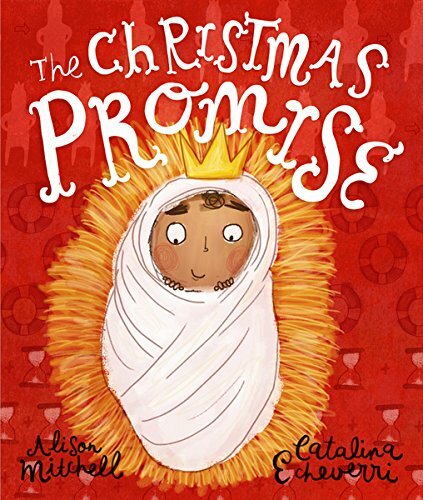 On the surface, The Christmas Promise is a rather standard narrative of the Christmas story. However, the announced theme of “a new king, a rescuing king, a forever king” (fitting with the gospel of Mathew) highlights an often overlooked element of children’s book. Christ’s birth is a political event and a promised one at that. In addition, excellent little details like Jesus being grown during the visitation of the Wiseman (24-25), the lineage of Davidic kingship (28), and a hint of Christ’s crucifixion (31) provide excellent opportunities for parents to explain more of the Biblical narrative to their children. Our son Judah, in particular, enjoyed the “whoosh” associated with each angelic appearance to the key Biblical figures (which he echoed on more than one occasion while his arms swung up into the air). Alongside the outstanding artwork from Catalina Echeverri, this story of Christ’s birth is a rather good addition to the more traditional illustration. In conclusion, The Christmas Promise is a fun (just wait till you see the angels “celebrating” as they announce the birth of Christ to the shepherds) and extremely well illustrated attempt to communicate the main theme of Mathew’s gospel (while retaining elements of Luke’s gospel).